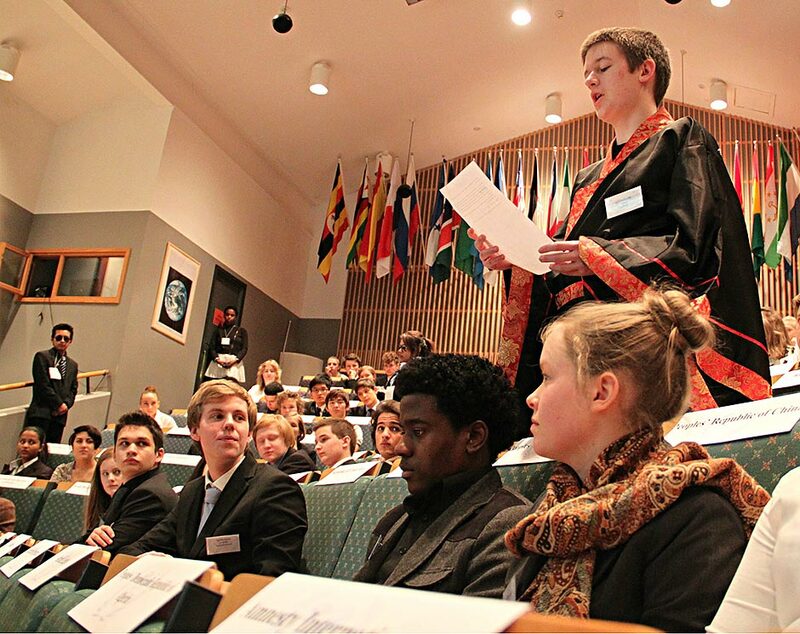 The Model United Nations (MUN) is a simulation of the United Nations Assembly for students. It aims to educate participants about civic responsibility, effective communication, globalization and multilateral diplomacy. At the College, all first-year students conduct research on a country, take on roles as diplomats, investigate international issues, debate, deliberate, consult, and then develop solutions to world problems. During their second year, students can choose to develop further skills and knowledge of the MUN by being part of the executive team to prepare, plan and run the MUN. They act as the Secretary General, Presidents and Chairs, Administrative Staff, and Media personnel for the MUN. A few students may also have the opportunity to participate in MUNs in other schools.